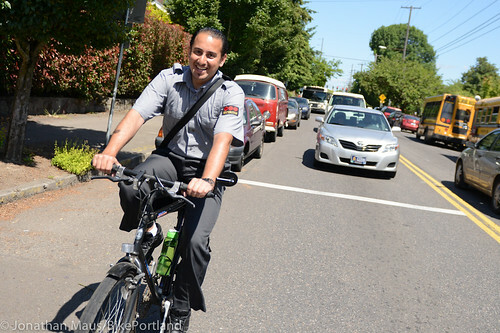 Welcome to People on Bikes, a column that takes a closer look at who’s riding bikes in Portland. 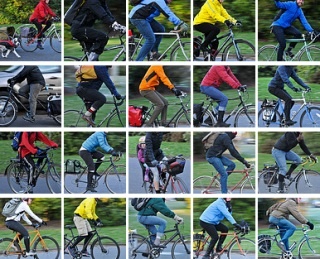 These pictures can tell us a lot: Who’s riding? Who’s not? What type of bikes do we ride? How do people stay cool in summer and warm in winter? 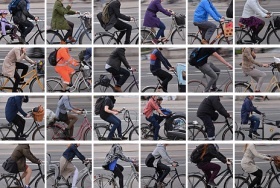 If you like bikes, bike fashion, or just have an anthropological curiosity about what people look like when they ride, you’ve come to the right place. Check the past editions below — and don’t forget to check out special editions from New York City, Copenhagen, and Colombia! Eager to ride after winter storms, yet still cold enough to have to bundle up. 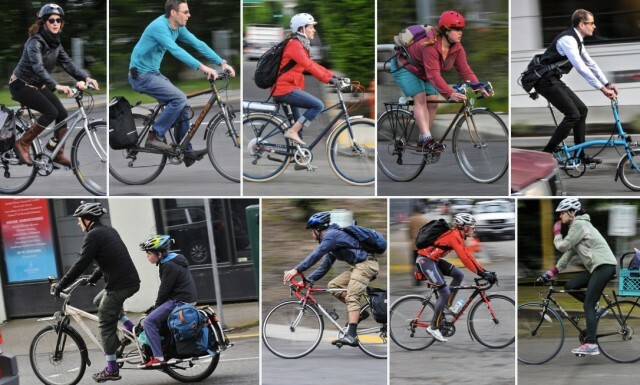 This us just a tiny slice of who’s riding bikes in Portland. How good does it feel to be able to pedal bikes again after all those snow and ice storms? 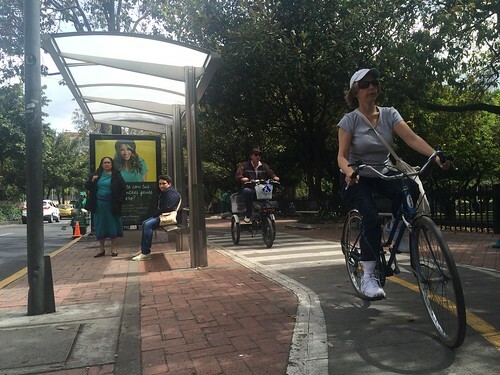 It’s likely that more bike trips happen in Bogotá, Colombia, than any other city in the Western Hemisphere. 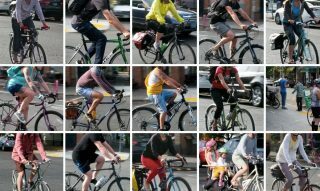 With 8.8 million residents — a number that has grown by about 12,000 every month for the last 50 years — Bogotá’s estimated 4 percent of trips by bike makes it approximately as bikey as the Portland metro area (2.2 million, with about 2.2 percent of commutes by bike) but much, much bigger. Welcome to the latest installment of People on Bikes. I started this series in 2011 and have been doing them infrequently ever since. This time around, for the first time ever, I’m featuring someone else’s images: Will Vanlue. Will is a man about town in Portland. You might have read his work on The Prudent Cyclist and you probably remember his name attached to local activism efforts. 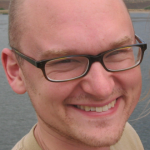 He’s one of the people behind the Downgrade Portland petition and he’s very active on Twitter. 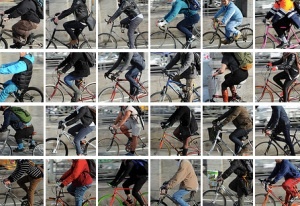 Welcome to special edition of People on Bikes from Copenhagen. Please join me in thanking Pro Photo Supply for their support of BikePortland. They’re a great local business and I would be a mess without their help. 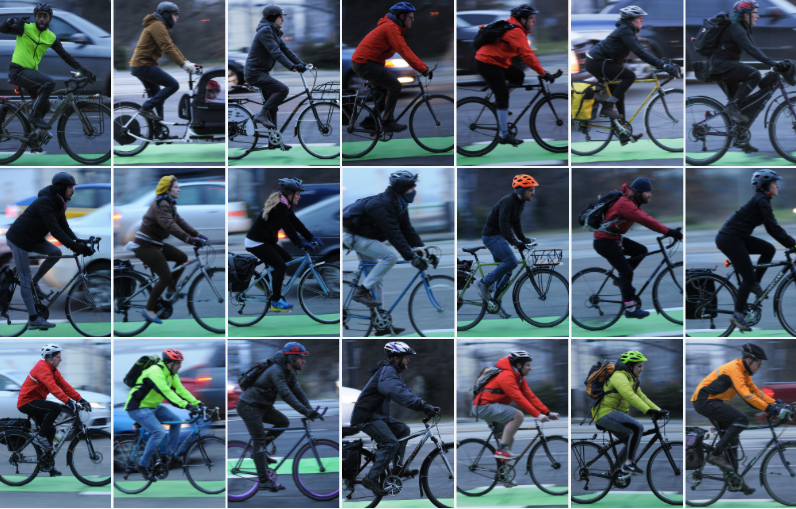 This morning I rolled over to North Vancouver Avenue to take a closer look at who’s riding. My location was just north of Shaver and a few blocks south of the Going Street neighborhood greenway. The bikeway on this section of Vancouver is pretty nice; even though from an engineering standpoint it’s decidedly low-tech. The bike lane here is just a standard white stripe. No green paint. No protection of any kind. 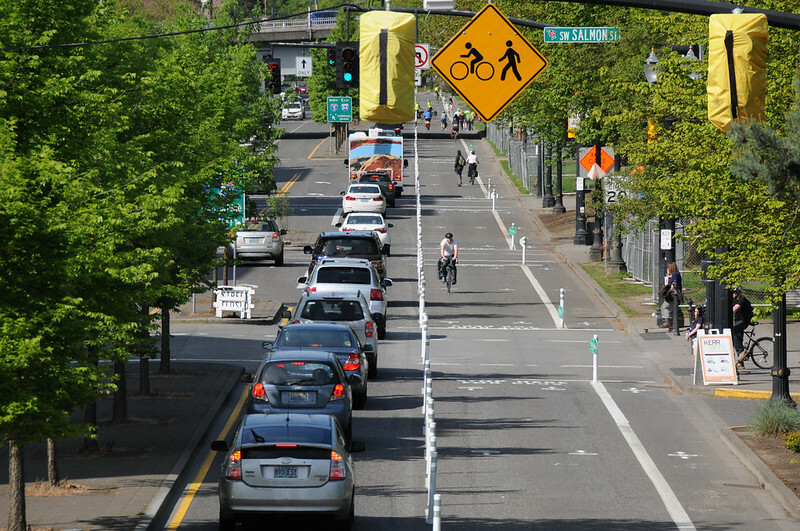 However, because PBOT made it extra-wide — at some spots it’s a comfortable 6 1/2 feet — it feels much nicer than other bike lanes in town. The Vancouver bike lane is also very popular (the most popular according to a 2007 PBOT survey) and feels relatively comfortable because it’s downhill and the speed differential between people on bikes and people in cars is minimal. Welcome to the latest installment of People on Bikes. Our last one showed the fantastic people riding into Brooklyn via the Manhattan Bridge. That was before Sandy came to town. In the spirit of reminding the world that biking is alive and thriving here in New York City, I now present a post-Sandy People on Bikes. This morning I sat on a park bench in the middle of Delancey Street watching people stream down the Williamsburg Bridge into Manhattan. I saw an amazing cross-section of New Yorkers. Many of them looked like seasoned bike riders, but many others looked like perhaps they had just grabbed whatever two-wheeled vehicle they could find just to get into work (the subway is still not running in Lower Manhattan and bus service is spotty). What stands out for me as I look through the entire set is that these folks have style. They look good! (#47 is one of my favorites). 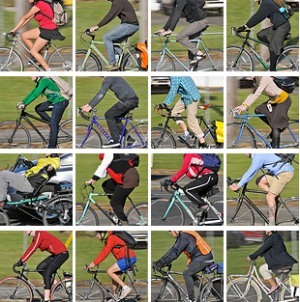 And there’s really no one in “bike clothes” — and thankfully, not one neon yellow jacket!